Low maintenance living with the convenience of being downtown!!! 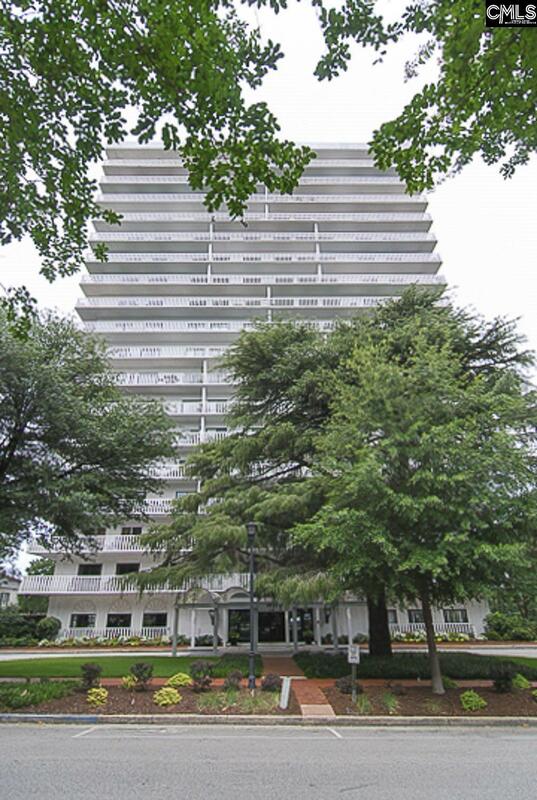 Great 8th floor condo located in the highly sought after Heritage building right in the heart of Columbia! This 2 bedroom, 2 bath unit has new wood flooring throughout, smooth ceilings, large laundry room, large master suite with his and hers closets and updated bath. A great size 2nd bedroom has a large closet and shares the updated hall bath. Enjoy your view of downtown from your large balcony that can be accessed from both bedrooms and the great room. Don't miss the luxury amenities that The Heritage offers, including: 24 hour security/concierge, covered parking garage, pool, gym, sauna, workshop, storage units, wine cellar, and penthouse with amazing views of Downtown Columbia. This unit is a MUST SEE!! !